However, there were actually two Mustangs used during filming: one kept neat and tidy and another that did most of the dirty work during the movie’s groundbreaking chase scene. The pampered star car was preserved and sold three times over the years and is very privately owned today, while the stunt car was beaten up so badly by the end of production that it was sent to the wrecking yard. At least that’s what most people thought happened to it, but a member of the Vintage Mustang Forum claims the car recently surfaced in Mexico. Its exact location undisclosed. Fede Garza posted photos of a Mustang that, in an ironic twist, was about to be converted into a replica of the “Eleanor” Mustang from the film “Gone in 60 Seconds” at his friend’s restoration shop. But when the owner of both the car and the business researched the vehicle identification number (VIN), he learned that he might have something special on his hands, which were shaking when he brought Garza the news. If authentic, the number is a match with the missing movie car. The vehicle also features other telltale features that it could be the real deal, including reinforced shock towers, a custom 9-inch rear axle, and holes in the trunk that are presumably there to accommodate a generator used to run the in-car camera lights. Garza says the Mustang had been rotting away in Baja California Sur for 20 or 30 years, its history heretofore unknown. Kevin Marti of Marti Auto Works in El Mirage, Ariz., is one of the world’s top experts on classic Fords and owns the exclusive license to the production records of every car the company built from 1967 to 2012. It was a report from his company that tipped off the owner to the possible treasure he had, and Marti tells Fox News that he’s heading to northern Mexico on Friday to validate the car’s provenance in person. Although he’s only seen photos so far, he says he’s very optimistic that it’s legit. If Marti gives it his seal of approval, Garza says the plan is to display the car at a local Ford dealership and then send it north of the border for a proper restoration. The timing couldn’t be better. 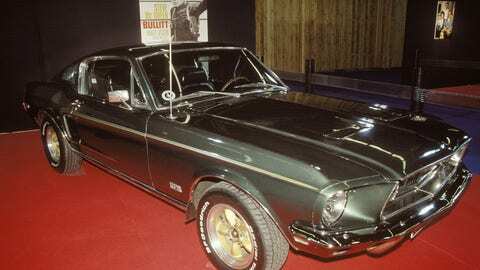 Next year is the 50th anniversary of “Bullitt”, and a recent Ford promotional video staring Dwayne Johnson suggests that the automaker is working on a special edition of the current Mustang to mark the occasion. Automotive journalist Brad Bowling is one of the few people who knew the identity of the third buyer of the other Mustang, but says he passed away a few years ago. He always kept the car hidden away and once told Bowling that he’d only show it publically if Ford built an official Mustang museum, but his heirs have been silent on the subject since his death, so that mystery continues. But if all goes well, and it doesn’t turn out to be some elaborate hoax, the Mexican Mustang could be all fixed up and ready for its close up just in time to celebrate next year. Just don’t expect to see it chasing that black Dodge Charger through the streets of San Francisco. The filmmakers may have considered the Mustang to be disposable, but it’s worth far too much today to end up in that ditch again.